Bu çalışmanın amacı ebeveyn sınav kaygısının yordayıcıları olarak sosyal onay ihtiyacı, akılcı olmayan inançlar, mükemmeliyetçilik ve cinsiyetin rolünü incelemektir. Araştırmanın çalışma grubunu Orta Karadeniz'de yer alan bir il merkezindeki 113 (%63.48) kadın ve 65 (%36.52) erkek olmak üzere toplam 178 öğrenci velisi oluşturmaktadır. Araştırmaya katılanların yaş ortalaması 42.28, Ss= 5.90’dür. Araştırmada veri toplama araçları olarak, Kişisel Bilgi Formu, Sosyal Onay İhtiyacı Ölçeği, Akılcı Olmayan İnançlar Ölçeği, Ebeveyn Sınav Kaygısı Ölçeği ve APS Mükemmeliyetçilik Ölçeği kullanılmıştır. Verilerin analizinde değişkenler arasındaki ilişkilerin incelenmesi için için Pearson Momentler Çarpımı Korelasyon Katsayısı ve bağımsız değişkenlerin bağımlı değişkenleri yordama gücünü belirlemek için Çoklu Regresyon Analizi kullanılmıştır. Araştırma sonucunda olumlu mükemmeliyetçilik ve sosyal onay ebeveyn sınav kaygısı ile anlamlı olarak ilişkili olsa da regresyon modelindeki katkıları anlamlı bulunmamıştır. Olumsuz mükemmeliyetçilik, cinsiyet ve akılcı olmayan inançların hep birlikte ebeveyn sınav kaygısının yüzde 26'sını açıkladığı bulunmuştur. Modele sırasıyla, mükemmeliyetçiliğin daha sonra cinsiyetin ve son olarak akılcı olmayan inançların katkı sağladığı ortaya çıkmıştır. Students are at the focus of exam anxiety but parents may also become an important part of this process. The purpose of the current study was to examine the role of perfectionism, irrational beliefs, need for social approval and gender as predictors of parent exam anxiety. The participants of the study were 178 parents (113 (63.48%) female and 65 (36.52%) male) living in a province in the Central Black Sea Region in Turkey. The mean age of the participants was 42.28, Sd = 5.90. Personal Information Form, Need for Social Approval Scale, Irrational Beliefs Scale, Exam Anxiety Scale for Parents and APS Perfectionism Scale were employed as the data collection tools in the study. Pearson Correlation Coefficient for the correlation of variables and Multiple Regression Analysis for the predictive power of independent variables were utilized in analyzing the data. According to the results of the research, positive perfectionism and social approval were significantly related to the parent exam anxiety, but the contributions in the regression model were found non-significant. It was also found that negative perfectionism, irrational beliefs and gender predicted 26% of parent exam anxiety. Negative perfectionism, gender and irrational beliefs contributed to the model most, respectively. Findings obtained from the research were discussed and interpreted in the direction of the literature and further suggestions were made for researchers and practitioners studying in the field of psychological counseling and guidance. Abdollahi, A., & Abu Talib, M. (2015). Emotional intelligence moderates perfectionism and test anxiety among Iranian students. School Psychology International, 36(5), 498-512.Adderholdt-Elliott, M. (1987). Perfectionism: What's bad about being too good? Minneapolis, MN: Free Spirit Press.Alisinanoğlu, F., & Ulutaş, İ. (2003). Çocukların kaygı düzeyleri ile annelerinin kaygı düzeyleri arasındaki ilişkinin incelenmesi. Eğitim ve Bilim, 28 (128), 65-71.Alzamani, M. S., & Zirak, A. (2011). Students learning and study strategies in ısfahan university of medical sciences and their relationship with test anxiety. Iranian Journal of Medical Education, 11(1), 58-68.Ashby, J. S. & Rice, K. G. (2002). Perfectionism, dysfunctional attitudes, and self-esteem: A structural equations analysis. Journal of Counseling and Development, 80 (2), 197-204.Baytemir, K., & İlhan, T. (2018). Development of the exam anxiety scale for parents: a validity and reliability study. Electronic Journal of Research in Educational Psychology, 16 (1), 223-241.Baytemir, K. (2018, April). Parent exam anxiety, perfectionism, and irrational beliefs as predictors of student's exam anxiety. III.INES Education and Social Science Congress, Alanya, Turkey (accepted paper).Beck, A. T. (1993). Cognitive therapy: past, present, and future. Journal of Consulting and Clinical Psychology, 61(2), 194-198.Beck, A. T., & Clark, D. A. (1997). An information processing model of anxiety: Automatic and strategic processes. Behaviour Research and Therapy, 35(1), 49-58.Besharat, M. A. (2003). Parental perfectionism and children's test anxiety. Psychological reports, 93(3_suppl), 1049-1055.Blatt, S. J. (1995). The destructiveness of perfectionism: Implications for the treatment of depression. American Psychologist, 50, 1003-1020Bridges, K. R., & Harnish, R. J. (2010). Role of irrational beliefs in depression and anxiety: a review. Health, 2(08), 862.Burns, D.D. (1980). The perfectionist script for self-defeat. Psychology Today, 41, 34-51.Burstein, M., & Ginsburg, G. S. (2010). The effect of parental modeling of anxious behaviors and cognitions in school-aged children: An experimental pilot study. Behaviour Research and Therapy, 48(6), 506-515.Cassady, J. C., & Johnson, R. E. (2002). Cognitive test anxiety and academic performance. Contemporary Educational Psychology, 27(2), 270-295.Costa Jr, P. T., Terracciano, A., & McCrae, R. R. (2001). Gender differences in personality traits across cultures: robust and surprising findings. Journal of Personality and Social Psychology, 81(2), 322-331.Castro, J. R., & Rice, K. G. (2003). Perfectionism and ethnicity: Implications for depressive symptoms and self-reported academic achievement. Cultural Diversity and Ethnic Minority Psychology, 9(1), 64-78.Chang, E. C. (2000). Perfectionism as a predictor of positive and negative psychological outcomes: Examining a mediation model in younger and older adults. Journal of Counseling Psychology, 47(1), 18-26.Chapell, M. S., Blanding, Z. B., Silverstein, M. E., Takahashi, M., Newman, B., Gubi, A., & McCann, N. (2005). Test anxiety and academic performance in undergraduate and graduate students. Journal of Educational Psychology, 97(2), 268-274.Chin, E. C., Williams, M. W., Taylor, J. E., & Harvey, S. T. (2017). The influence of negative affect on test anxiety and academic performance: An examination of the tripartite model of emotions. Learning and Individual Differences, 54, 1-8. Ellis, A. (2010). Overcoming destructive beliefs, feelings, and behaviors: New directions for rational emotive behavior therapy. Prometheus Books.Elçin Boyacıoğlu ve Küçük (2011). Ergenlikte mantik dişi inançlar sınav kaygısını nasıl etkiliyor?. Journal of Psychiatric Nursing, 2(1), 40-45.Ergene, T. (2003). Effective interventions on test anxiety reduction a meta-analysis. School Psychology International, 24(3), 313-328.Eum, K., & Rice, K. G. (2011). Test anxiety, perfectionism, goal orientation, and academic performance. Anxiety, Stress, & Coping, 24(2), 167-178.Fehr, E. ve Falk, A. (2001). Psychological foundations of incentives. Institute for Empirical Research in Economics University of Zurich Working Paper Series. Working Paper No. 95, Paper presented at the Annual Conference of the European Economic Association.Feingold, A. (1994). Gender differences in personality: A meta-analysis. Psychological Bulletin, 116(3), 429-456.Frost, R. O., Marten, P., Lahart, C., & Rosenblate, R. (1990). The dimensions of perfectionism. Cognitive Therapy and Research, 14, 449–468Güler, D., & Çakır, G. (2013). Lise son sınıf öğrencilerinin sınav kaygısını yordayan değişkenlerin incelenmesi. Türk Psikolojik Danışma ve Rehberlik Dergisi, 4(39), 82-94.Hamachek, D. E. (1978). Psychodynamics of normal and neurotic perfectionism. Psychology, 15, 27–33.Harpell, J. V., & Andrews, J. J. (2012). Multi-informant test anxiety assessment of adolescents. Psychology, 3(07), 518.Hembree, R. (1988). Correlates, causes, effects, and treatment of test anxiety. Review of Educational Research, 58(1), 47-77.Heppner, P. P., Wampold, B. E. ve Kivlighan, D. M., Jr. (2013). Psikolojik danışmada araştırma yöntemleri (D. M. Siyez Çev. ), (1. Baskı). Ankara: Mentis YayıncılıkHewitt, P. L., & Flett, G. L. (1989). The Multidimensional Perfectionism Scale: Development and validation. Canadian Psychology, 30, 339.Hong, E. (1998). Differential stability of individual differences in state and trait anxiety. Learning and Individual Differences, 10 (1), 51- 69.Kağıtçıbaşı, Ç. (2010). Günümüzde insan ve insanlar: Sosyal psikolojiye giriş. Evrim Yayınevi. Karaşar, B. (2014). Sosyal onay ihtiyacının çeşitli değişkenler açısından incelenmesi. Yayımlanmamış doktora tezi. Ankara Üniversitesi Eğitim Bilimleri Enstitüsü, Ankara.Karaşar, B., & Öğülmüş, S. (2016). Üniversite öğrencilerinde sosyal onay ihtiyacinin çeşitli değişkenler açisindan incelenmesi. Uludağ Üniversitesi Eğitim Fakültesi Dergisi, 29(2), 469-495.Kısaç, İ. (1999). Erkeklik rolü normları. Mesleki Egitim Dergisi, 1(2), 83-93.McDonald, A. S. (2001). The prevalence and effects of test anxiety in school children. Educational Psychology, 21(1), 89-101.McLean, C. P., Asnaani, A., Litz, B. T., & Hofmann, S. G. (2011). Gender differences in anxiety disorders: prevalence, course of illness, comorbidity and burden of illness. Journal of Psychiatric Research, 45(8), 1027-1035.Milgram, N., & Toubiana, Y. (1999). Academic anxiety, academic procrastination, and parental involvement in students and their parents. British Journal of Educational Psychology, 69(3), 345-361.Montgomery, G. H., David, D., DiLorenzo, T. A., & Schnur, J. B. (2007). Response expectancies and irrational beliefs predict exam-related distress. Journal of Rational-Emotive & Cognitive-Behavior Therapy, 25(1), 17-34.Mor, S., Day, H. I., Flett, G. L., & Hewitt, P. L. (1995). Perfectionism, control, and components of performance anxiety in professional artists. Cognitive Therapy and Research, 19(2), 207-225.Morris, L. W., & Liebert, R. M. (1970). Relationship of cognitive and emotional components of test anxiety to physiological arousal and academic performance. Journal of consulting and clinical psychology, 35(3), 332-337.Özensel, E. (2004). Türk toplumunda çocuğun yetiştirilmesinde annenin rolü: Konya ili örneği. Değerler Eğitimi Dergisi, 2(6), 77-96.Pacht, A. R. (1984). Reflections on perfection. American Psychologist, 39, 386–390.Peleg, O. (2009). Test anxiety, academic achievement, and self-esteem among Arab adolescents with and without learning disabilities. Learning Disability Quarterly, 32(1), 11-20.Sapmaz, F. (2006). Üniversite öğrencilerinin uyumlu ve uyumsuz mükemmelliyetçilik özelliklerinin psikolojik belirti düzeyleri açısından incelenmesi. Yayınlanmamış, Sakarya Üniversitesi, Sosyal Bilimler Enstitüsü, Sakarya.Shadach, E., & Ganor-Miller, O. (2013). The role of perceived parental over-involvement in student test anxiety. European journal of psychology of education, 28(2), 585-596.Silverman, L. K. (2007). Perfectionism: The crucible of giftedness. Gifted Education International, 23(3), 233-245.Slaney, R. B. ve Johnson, D. P. (1992). The almost perfect scale. Unpublished manuscript, Pennsylvania State University, University Park. Slaney, R. B. ve Ashby, J. (1996). Perfectionists: Study of a criterion group. Journal of Counseling and Development, 74(4), 393-398. Slaney, R. B., Rice, G. K., Mobley, M., Trippi, J. ve Ashby, J. (2001). The revised almost perfect scale. Measurement and Evaluation in Counseling and Development, 34, 130-144.Soygüt, G., Karaosmanoğlu, A., & Çakir, Z. (2009). Erken Dönem Uyumsuz Şemaların Değerlendirilmesi: Young Şema Ölçeği Kısa Form-3'ün Psikometrik Özelliklerine İlişkin Bir İnceleme. Turk Psikiyatri Dergisi, 20(1).Soysa, C. K., & Weiss, A. (2014). Mediating perceived parenting styles-test anxiety relationships: Academic procrastination and maladaptive perfectionism. Learning And Individual Differences, 34, 77-85.Tanaka-Matsumi, J., & Kameoka, V. A. (1986). Reliabilities and concurrent validities of popular self-report measures of depression, anxiety, and social desirability. Journal of Consulting and Clinical Psychology, 54(3), 328-333.Trifoni, A., & Shahini, M. (2011). How does exam anxiety affect the performance of university students. Mediterranean Journal of Social Sciences, 2(2), 93-100.Türküm, A. S. (2003). Akılcı olmayan inanç ölçeğinin geliştirilmesi ve kısaltılması. Türk Psikolojik Danışma ve Rehberlik Dergisi, 19, 41-47Yıldırım, İ. (2007). Depression, Test Anxiety and Social Support among Turkish Students Preparing for the University Entrance Examination. 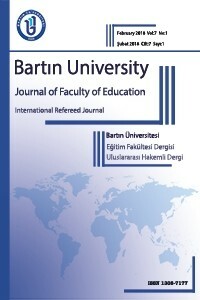 Eurasian Journal of Educational Research (EJER), (29), 171-184.Yildirim, I., Genctanirim, D., Yalcin, I., & Baydan, Y. (2008). Academic achievement, perfectionism and social support as predictors of test anxiety. Hacettepe Üniversitesi Eğitim Fakültesi Dergisi, (34), 287-296.Wilson, N. H., & Rotter, J. C. (1986). Anxiety management training and study skills counseling for students on self-esteem and test anxiety and performance. The School Counselor, 34(1), 18-31.Wong, S. (2008). The Relations of Cognitive Triad, Dysfunctional Attitudes, Automatic Thoughts, and Irrational Beliefs with Test Anxiety. Current Psychology, 27(3), 177-191. Woodruff-Borden, J., Morrow, C., Bourland, S., & Cambron, S. (2002). The behavior of anxious parents: Examining mechanisms of transmission of anxiety from parent to child. Journal of Clinical Child and Adolescent Psychology, 31(3), 364-374.